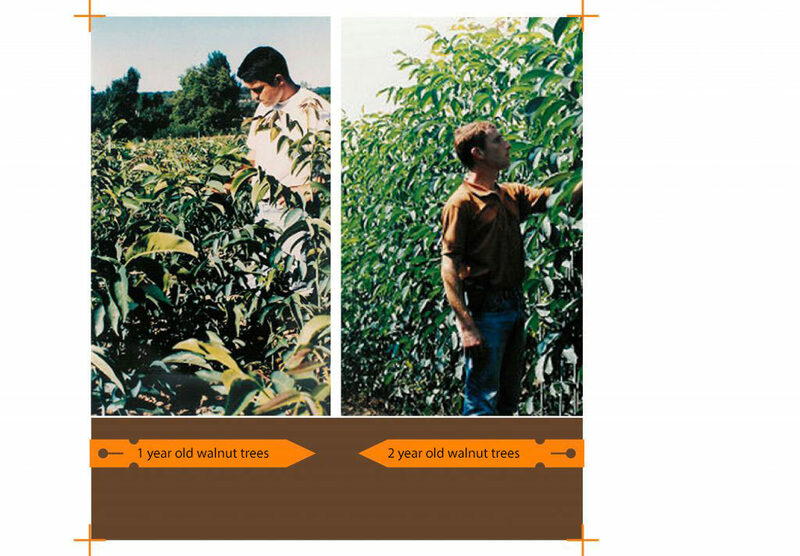 A technique of walnut multiplication perfectly controlled, fast and efficient, allows us to obtain almost 100% of success. 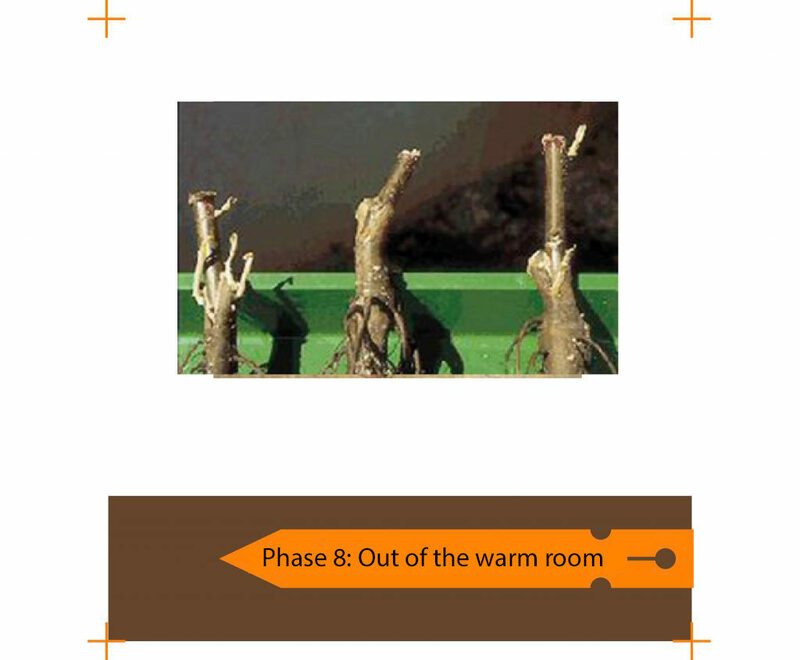 Phase 1: selection of the best rootstock for one year by rigorous seeding and monitoring of their disinfection. Phase 2: harvesting and selection of grafts in our 5 ha of certified and controlled mother plants. 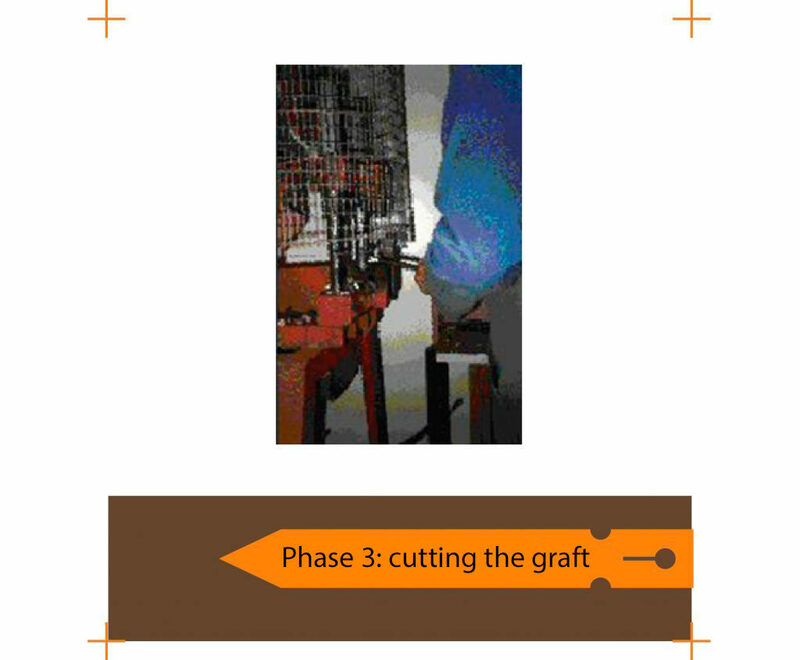 Phase 3: Size of the grafts. Phase 4: incision of the graft doors at the collar. 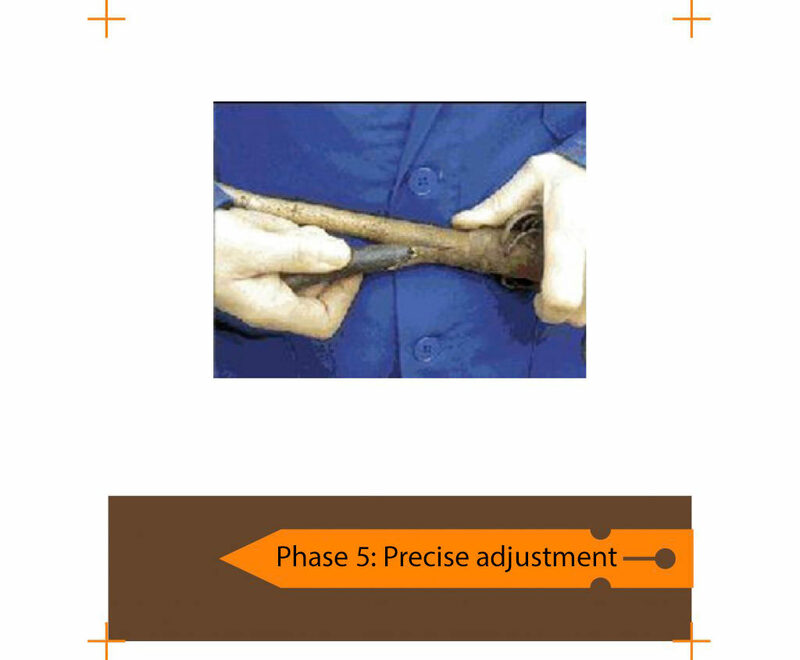 Phase 5: Precise adjustment of the graft on the rootstock. Phase 6: Put in hot room. 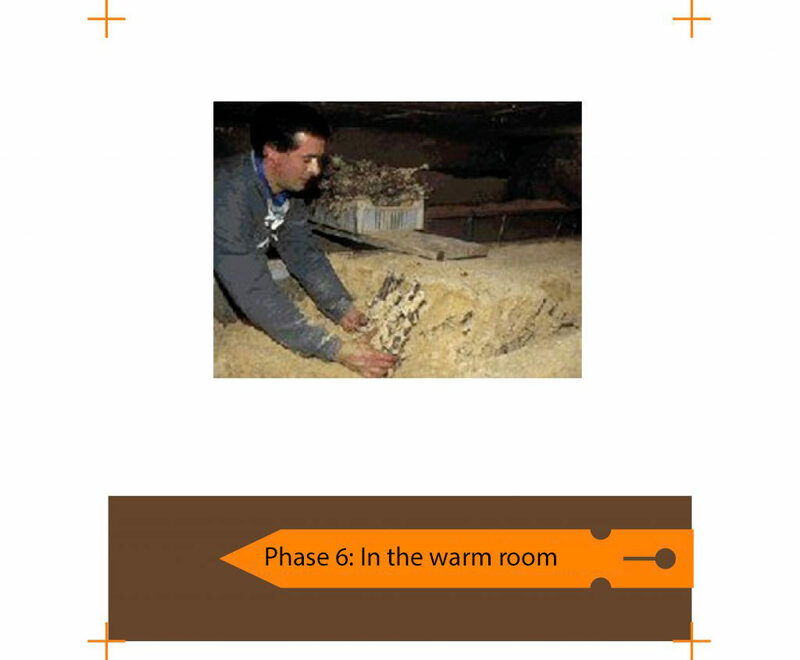 Phase 7: Keep in a warm room for 3 weeks. Phase 8: Hot room outlet of the plants after the healing callus has been released. 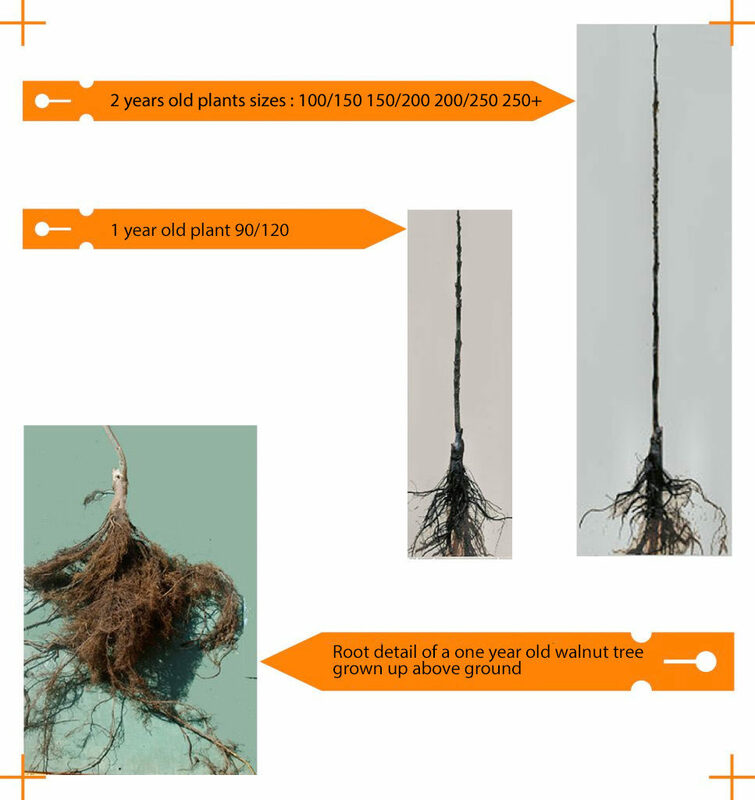 Grafted / welded plant ready to plant. The plants thus produced will be transplanted in nursery one or two years according to the requests of our customers. according to the requests of our customers. The plants will be torn from November to March, then sorted according to their size: 1 year old seedlings of 20/40 40/60 60/90 90/120 120+.